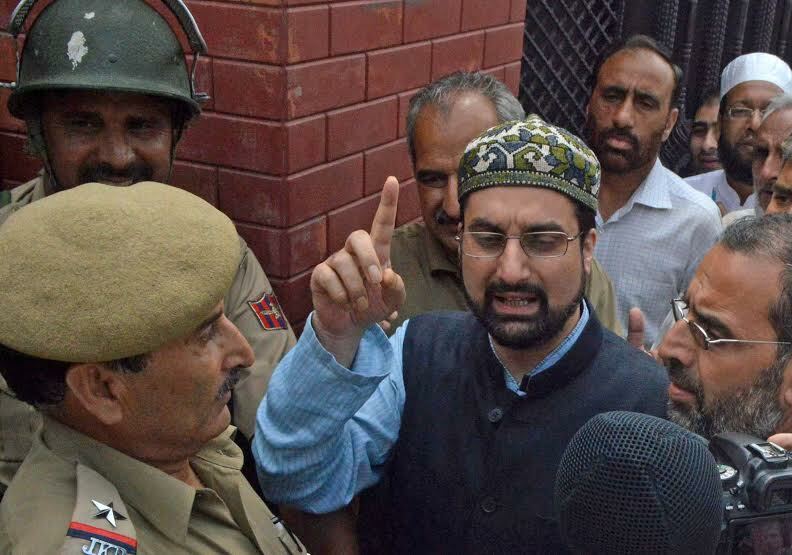 Srinagar, January 04 (KMS): In occupied Kashmir, the Hurriyat forum led by Mirwaiz Umar Farooq strongly denouncing the puppet administration for detaining the Mirwaiz at his Nigeen residence in Srinagar has termed the action as frustration of the authorities. 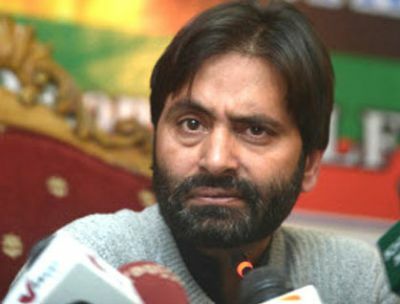 Srinagar, January 04 (KMS): In occupied Kashmir, the illegally detained Chairman of Jammu and Kashmir Liberation Front (JKLF), Muhammad Yasin Malik, has said that India has turned Kashmir into a big jail. Srinagar, January 04 (KMS): In occupied Kashmir, the puppet authorities prevented the All Parties Hurriyat Conference to hold a seminar on the resolutions passed by the United Nations on Kashmir. Islamabad, January 04 (KMS): The Foreign Office Spokesman, Dr Muhammad Faisal has strongly condemned the increasing human rights violations by Indian troops in occupied Kashmir. Srinagar, January 04 (KMS): In occupied Kashmir, the All Parties Hurriyat Conference (APHC) has condemned the continued illegal detention and house arrest of Hurriyat leaders and activists. Srinagar, January 04 (KMS): In occupied Kashmir, the Chairman of Hurriyat forum, Mirwaiz Umar Farooq, has condemned the killing of 25-year-old Arif Ahmed in Sopore area of Baramulla district last evening. Srinagar, January 04 (KMS): Kashmiris on both sides of the Line of Control and the world over will observe the Right to Self-Determination Day, tomorrow, with the pledge to continue their liberation struggle till it reaches its ultimate goal. It was on 5th January in 1949 when the United Nations Security Council passed a resolution supporting the Kashmiris’ right to decide their future by themselves through UN-sponsored plebiscite. Srinagar, January 04 (KMS): In occupied Kashmir, the Jammu and Kashmir Muslim Conference (JKMC) has said that Kashmir dispute can be resolved through tripartite talks involving Pakistan, India and the genuine Kashmiri leadership in line with the relevant UN resolutions. Srinagar, January 04 (KMS): In occupied Kashmir, Hurriyat leader and the Jammu and Kashmir Peoples League (JKPL) Chairman, Mukhtar Ahmad Waza has stressed the need of settling the Kashmir dispute through peaceful means and in accordance with the aspirations of Kashmiri people. Srinagar, January 04 (KMS): In occupied Kashmir, hundreds of people, today, attended the funeral of a youth, Arif Ahmad Sofi, in Sopore area of Baramulla district, today, amid pro-freedom and pro-Pakistan slogans. Arif Ahmed Sofi, the son of Hurriyet leader Muhammad Maqbool Sofi, was shot dead by unknown gunmen at Herwan in Sopore, last evening. The mourners, including women and children, raised high-pitched pro-freedom and pro-Pakistan slogans as the body of the youth was marched through his native Younsu area of the district.